From the Pulitzer Prize-winning New York Times journalist: a pathbreaking examination of our huge crime and incarceration problem that looks at the influence of the family--specifically one Oregon family with a generations-long legacy of lawlessness. The United States currently holds the distinction of housing nearly one-quarter of the world's prison population. But our reliance on mass incarceration, Fox Butterfield argues, misses the intractable reality: As few as 5 percent of families account for half of all crime, and only 10 percent account for two-thirds. In introducing us to the Bogle family, the author invites us to understand crime in this eye-opening new light. He chronicles the malignant legacy of criminality passed from parents to children, grandchildren, and even great-grandchildren. Examining the long history of the Bogles, a white family, Butterfield offers a revelatory look at criminality that forces us to disentangle race from our ideas about crime and, in doing so, strikes at the heart of our deepest stereotypes. And he makes clear how these new insights are leading to fundamentally different efforts at reform. 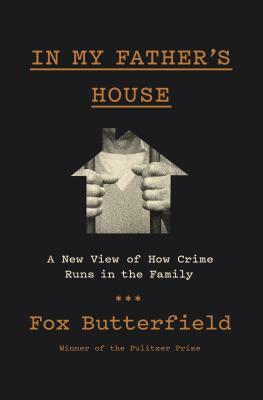 With his empathic insight and profound knowledge of criminology, Butterfield offers us both the indelible tale of one family's transgressions and tribulations, and an entirely new way to understand crime in America. FOX BUTTERFIELD is the author of China: Alive in the Bitter Sea, which won the National Book Award, and All God's Children: The Bosket Family and the American Tradition of Violence. He was a member of the New York Times reporting team that won the Pulitzer Prize for its publication of the Pentagon Papers, and served as a bureau chief for the newspaper in Boston, Saigon, Tokyo, Hong Kong, and Beijing--where he opened the Times bureau in 1979. Most recently he was a national correspondent for the Times, covering crime and violence. He lives in Portland, Oregon.